Try a mini size of the famous Dr Hauschka hand cream and you'll understand in an instant why it's so popular. This remarkable, non-greasy cream is beneficial for all, especially those with dry skin or those who work in harsh environmental conditions. Special Bryophyllum extracts hydrate and regenerate the skin while special oils and waxes protect and soothe our hands. Everyone loves Dr Hauschkas hand Cream because it rapidly absorbs into their skin and leaves even the roughest hands soft and smooth. If you have dry, tight feeling skin or even sore split skin, let the special bryophyllum and marsh mallow extracts hydrate and regenerate your skin, and almond and jojoba oils and beeswax protect, nurture and soothe. 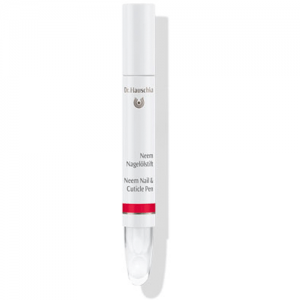 Protects the skin of the hands by maintaining its natural acid pH. 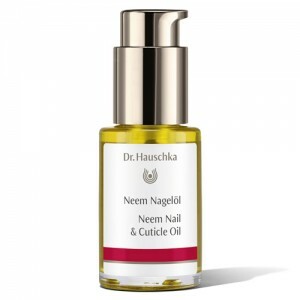 Why not get a Dr Hauschka Neem Nail Oil Pen too, to keep your nails strong? Water/Aqua, Alcohol, Glycerin, Althaea Officinalis Root Extract, Prunus Amygdalus Dulcis (Sweet Almond) Oil, Anthyllis Vulneraria Extract, Daucus Carota Sativa (Carrot) Root Extract, Cetearyl Alcohol, Beeswax/Cera Flava, Prunus Spinosa Flower Extract, Arachis Hypogaea (Peanut) Oil, Simmondsia Chinensis (Jojoba) Seed Oil, Triticum Vulgare (Wheat) Germ Oil, Bentonite, Lactose, Kalanchoe Daigremontiana Extract, Fragrance/Parfum*, Limonene, Linalool, Citronellol, Geraniol, Citral, Farnesol, Benzyl Benzoate, Eugenol, Benzyl Salicylate, Lysolecithin, Xanthan Gum. *purely from essential oils and plant extracts - does not contain synthetic fragrance. Apply throughout the day when necessary but in moderate quantities. Dr Hauschka have found that the Hand Cream can help to relieve the pain and discomfort of eczema on the hands. 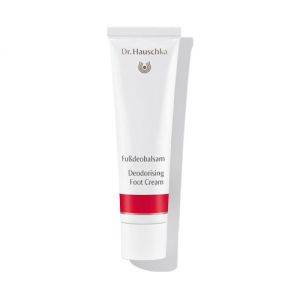 Dr.Hauschka Hand Cream also helps where skin is thin, and splits easily.